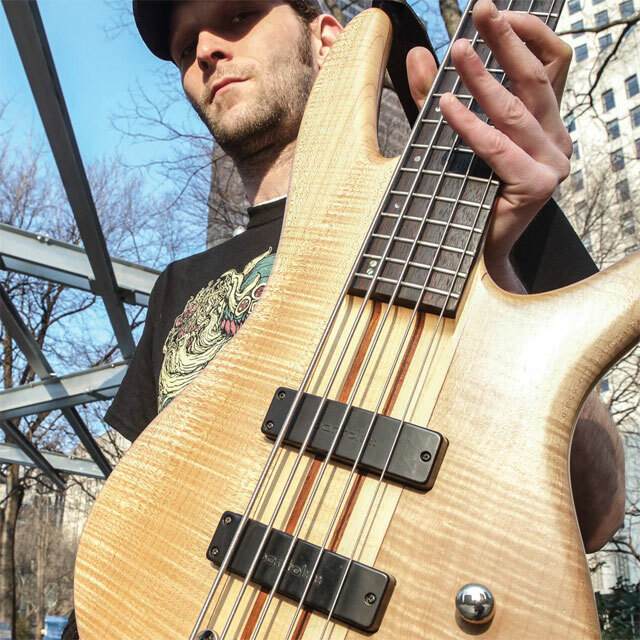 clarity and crispness of tone I desire without sacrificing the integrity of the low end and punch"
I am a metal bassist from Dallas, Texas who relocated to New York City in the summer of 2008. I started off playing guitar but soon after realized me and bass was meant to be. I started at age 13 and by age 16 I was in a full time gigging and recording band called Broken Cell. Previous bands I have played with are Broken Cell (Dallas),Dead Like Romance (Dallas), The Aftermath/She Killed Poetry (Dallas), Embrace Agony (NYC), Edge of Existence (NYC) and As Beings (NYC) and Homesick Alien (Dallas/Current). After about a year back in Dallas I’ve formed a group called Homesick Alien who is in the beginning phases of finalizing our debut album getting ready for shows starting this summer. We released our debut single “Holographic World” for free download on SoundCloud as well a link on YouTube. Below is a link to our Facebook page where you can follow up on anything and everything H.S.A. related!